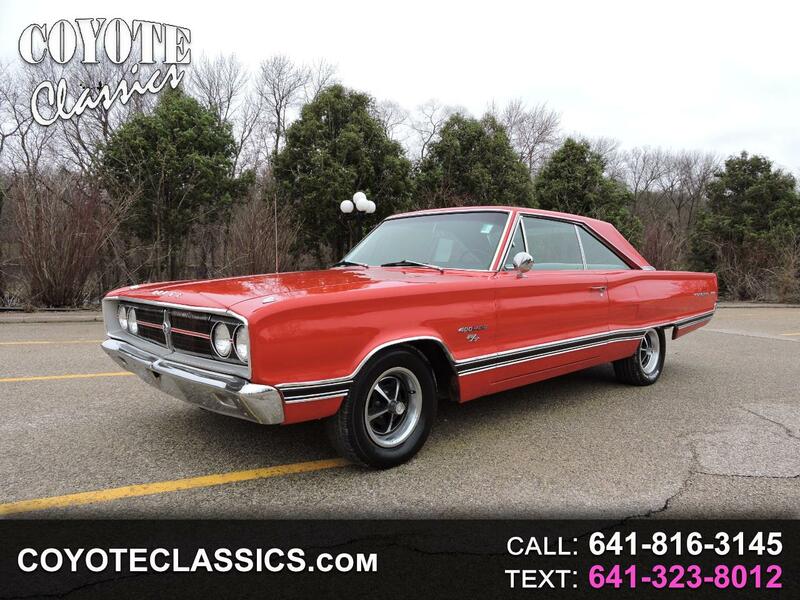 Ready to jump in and enjoy is this driver condition 1967 Dodge Coronet 500 two door hardtop! Its powered by a 400 V8 4bb engine and is backed up by a automatic transmission. It comes equipped with power steering, dual exhaust, am fm cassette, and is riding on a set of magnum 500 rims. This is a nice driving classic that sounds great and has a nice shine on a older restoration. The previous owner has stated that this car was restored back in the 90's and is a still good looking driver today. Its white bucket seat with full console interior looks real good for its age. Message: Thought you might be interested in this 1967 Dodge Coronet.